Northwest Point Dental is a full service dental practice providing quality dental care to patients in Edison Park, IL, Niles, IL, Park Ridge, IL, and the surrounding areas. Whether you are looking for family dentists, cosmetic dentists, or teeth whitening dentists, you can rely Dr. Demian and the staff of our dental office to meet your needs. Our modern dental office is equipped with state of the art technology to ensure the highest standard of quality care. Preventative Care and Diagnosis – We offer comprehensive dental exams and routine cleanings to maintain healthy teeth and gums and detect problems early. Our services include routine dental cleanings, digital x-rays, fluoride treatments, sealants, and oral cancer screenings. In addition, we provide sports guards, night guards, and appliances. 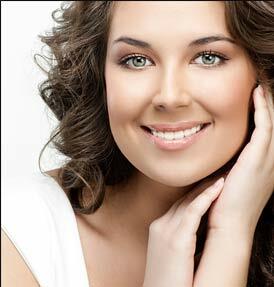 Cosmetic Dentistry – Cosmetic dentists offer a variety of options to improve your smile. Our cosmetic treatments include tooth colored fillings, bonding, teeth whitening, Invisalign, veneers, porcelain fixed bridges, porcelain crowns, inlays, onlays, and complete smile makeovers. Restorative Dentistry – We offer procedures to restore the function of your teeth, including root canal therapy, dental implants restorations, fixed bridges, crowns, onlays, and inlays, partial and complete dentures. Periodontal Procedures – Maintaining healthy gums requires proper care and accurate diagnosis in the early stages of gum disease. We diagnose and treat periodontal disease with services that include scaling and root planing, periodontal surgery, maintenance, oral surgery, and extractions. Emergency Dental Care – If you have a dental emergency, we offer same day appointments for dental emergencies. If you are looking for family dentists, cosmetic dentists, or teeth whitening dentists in Edison Park, IL, Niles, IL, or Park Ridge, IL, browse our website to learn more about our dental practice and contact us to schedule an appointment.